Palestinian president spokesperson warned Tuesday that the US peace deal is using Gaza relief projects to divide Palestinians, reiterating Palestinian rejection towards it. Nabil Abu Rudeineh slashed in a statement that the US administration is trying to remove the issue of Jerusalem and refugees off the negotiation table, the official Palestinian news agency WAFA reported. "The United States thought that its move, as well as canceling the nuclear agreement with Iran, would pave the way for the deal, which is rejected by Palestinians, Arabs and the international community," Abu Rudeineh said. The spokesperson cited Russian Deputy Foreign Minister Mikhail Bogdanov's words, saying Washington is incapable of resolving the Palestinian-Israeli conflict on its own. Palestinian President Mahmoud Abbas is demanding an "international mechanism to reach a solution, not a unilateral American control that would perpetuate the Israeli occupation," he said. He also warned against using Gaza's political or humanitarian relief aid and promoting ideas through Israeli officials, "be it regarding building a seaport or other things, (which are) outside of a comprehensive political solution based on international resolutions," saying the move "ignores the explosive reality." 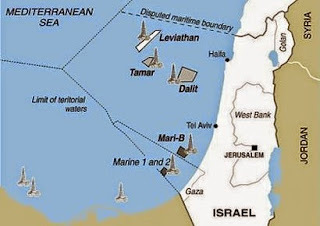 On Monday, Israeli media reported that Israeli defense minister Avigdor Lieberman has agreed to a deal that would enhance the economic situation in Gaza Strip by a set of projects, including constructing a seaport for Palestinians in Cyprus. The report said that a team will start working within three weeks to implement the plan within three months, pointing out that it will include an Israeli anti-arm smuggling mechanism.